A man’s life is turned upside down when his wife goes missing from a fun park, and there’s no record that she was ever there. This has some plot twists and turns! I had to feel sorry for the main character, who is manipulated and not believed from the start. He’s just a regular guy with a wife and kid enjoying a family day out, or so he thought. Then everything turns to, well, crap. The book was a great read, even if the plot got a little convoluted at times. It was believable at a stretch, I guess, but this is fiction. And believable or not, it was a great read. Even though for the most part the reader knows what is going on, there are still plenty of surprises to keep it a great page-turner. 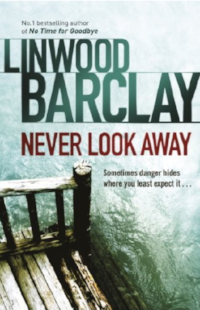 I’d forgotten how good Linwood Barclay is.